This entry was posted in Game News and tagged Is TSTO Ending?, Tapped Out Tips and Tricks, The Simpsons Tapped Out, TSTO Addicts, TSTO Tips and Tricks, TSTO Updates, When will the next update in TSTO be?. Bookmark the permalink. Bah. Back in my day you were lucky to get an event every other month, let alone random ones for seemingly no reason. We’d go from July to October, uphill both ways without an event betwixt them. Remember though in ” those days ” you were able to obtain new buildings & characters by reaching different levels. Then EA changed this up, bringing in more frequent updates. I’m not panicking, I’m filled with relaxation — and my Johnny Walkers are no longer filled. Btw, if anybody mentioned this b4 I apologize; I haven’t read other comments. I don’t think that the game is going to be ending anytime soon, especially since EA has not yet officially said anything regarding that. They are most likely using this break time to do something big for the next event/update, but there is also the possibility that Disney’s recent acquisition of Fox may have EA scared enough to be using the recent break times to prepare for a worst case scenario in the event that Disney decides to send their Red Queen to axe EA’s licensing contract for the game, even though game is still going strong. (On a personal note, I would like Marge Simpson go up against Disney’s Red Queen in a physical battle). Of course, I would not be surprised if EA really is having a laugh at our expense with these break periods. 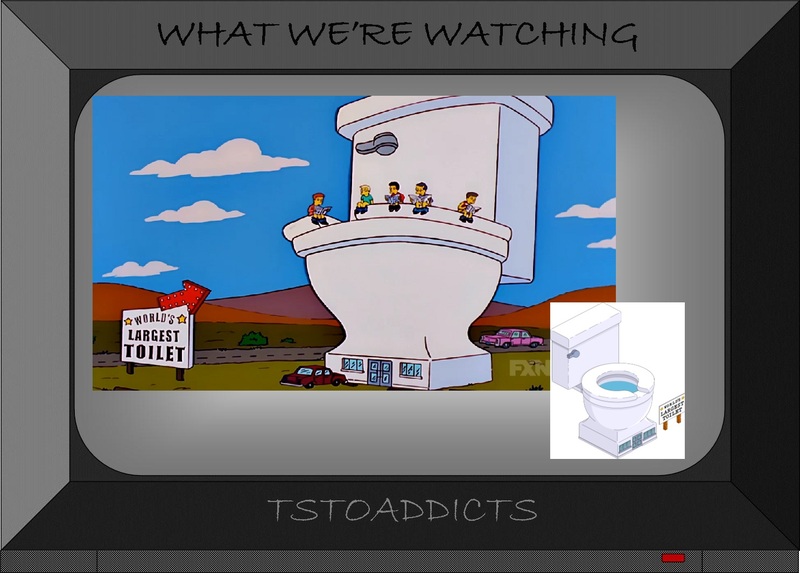 I also agree with Alyssa that the Giant Toilet should get released before the game ends. There are some other things that I want released, too, specifically (but not limited to): Springfield Heights Solid Gold Pavement; and Gil as a playable character. 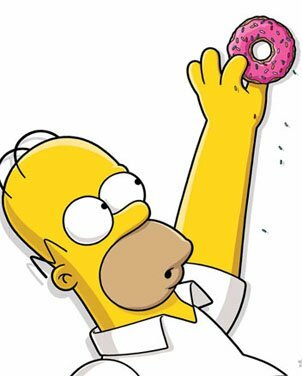 And, finally, I think that the billboard image in the Twitter post that Alyssa shared with us should be used the splash screen/loading screen during this year’s Donut Day celebration because I think that it would an appropriate representation of both the game and of Donut Day. Sorry, Alissa, I misspelled your name in my previous post, and I don’t know how to edit the post in order to correct my mistake. I have been doing my taxes for the last few weeks, so I happy for a little downtime. For the last few weeks??? Holyfreakinshirt! Turbotax, baby! LOL. At best TurboTax would have saved me an hour. or call me, I do taxes and I’ve done about 350 returns in the past few weeks! I tried turbo tax once. I assume you don’t own your own business…for me it is like, Yes. Yes. Yes. No. Yes. No. Yes. I usually have a very simple ‘long’ form. I did have an issue a few years ago,that puzzled the IRS Help Line. Basically, I received a Settlement check from an external litigation involving an investment that was held inside my IRA. Minor dollar value, but where do I place this income — or do I put it back into the IRA? Not sure if anyone has mentioned it yet, but EA has recently fired a lot of people at their other mobile game developer, the FireMonkeys, even though their two top products (Real Racing 3 and Need for Speed: No Limits) still rake in a lot of cash. I suppose the situation must look quite grim for EA, so I guess a years old casual mobile game like TSTO could quite possibly be on their blacklist now, too. Let’s hope for the best though. Here’s my guess. I believe there was a long lull prior to them dropping supported devices a few years ago? If that’s the case, we may be seeing a new purge in the coming weeks. This should make Patrick’s day since that means a bump up on his maximum objects and speedier performance without supporting all those older devices. The bean counters are at work figuring who is in and out. That’s possible. I hate to say it, but their lack of concern over Kindle/Fire users seems to indicate something like that. The giant toilet would be a brilliant addition, especially if it provided the means for us to get rid of all the stored items we no longer want: drop ’em in and flush ’em away. I’d even spend a penny for the convenience. I think, since they gave us pretty much (if not actually) every possible purchase opportunity in the last update, they are taking this time to either chill, or major brainstorm. Meanwhile giving us the chance to go through the barrage of storylines we just opened up. EA is in some trouble. It’s a sinking ship and people are jumping off. It’ll be interesting to see what happens in the coming week. I think they’re gonna have a very diminished position at E3. If this is the end, I’ll be okay with it. It’s been a good run. It has been said that this game still makes money for EA, but is it enough for them to continue to devote a large staff? My guess is that they’re scaling back personnel devoted to this game. So maybe the game isn’t “over.” Maybe we’re entering a new, less intense phase including fewer events. There’s a few possibilities I’ve thought of; are they not being purchased right now? Perhaps there’s some agreement to not touch some assets until the company is officially handed over. Also have they not fired some employees recently? Perhaps with a smaller staff, updates take longer to deliver. Perhaps they’re having a rollback glitch level situation where it could lead to mass numbers of people leaving the game again and they’re in Crisis mode and scrambling to get the game working properly. Or maybe, just maybe, they’re giving us time. I mean people lost a whole lot of stuff to the rollback glitch and were royally pissed, so perhaps they’re saying here’s the yearbook, get most of your stuff back, and in the meantime we’re gunna be making super events for the summer, Halloween and Christmas. Or they could be spending that time sorting out what I said above, which is perfectly reasonable to. I could get a lot of blissful redesigning of my town done during this break if I could, yknow, actually see it. Here’s hoping they’re working on the Zoom ‘n Gloom glitch. Yes yes oh yes please E.A. I’m going to be angrily optimistic. They’re coming out with a major update and needed an extra week. Maybe they wanted to play off of the Disney acquisition and needed approval that’s taking longer than expected. Disney loves their mobile games. I, for one, wouldn’t mind having another week without a major event. 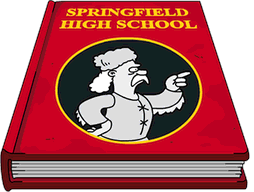 So much of my Springfield needs a major overhaul with everything I got from the yearbook. If the game is starting to wind down, I would prefer a gradual move in that direction. An example might be to allow us to sell decorations in our inventory and give us 6 months to use or sell them before cashing them out and removing the option to store decorations while still allowing the storage of buildings and characters. The only exceptions being fencing, railroad tracks, and maybe plant life. That would mean they would have to square off Springfield Heights with our regular Springfield which wouldn’t necessarily be a bad thing. Then 6 months from then start to shut down something else which still allow us to play the game. Just an opinion. I think it’s a Commie Pinko Plot! Have y’all heard about the Disney acquisition of some of FOX studio items? I believe the Simpsons was in that acquisition. Maybe that has thrown a wrench in the game??? I don’t EA is just messing with our minds for laughs. I’d like to think something big is in the works like when Monorail or Springfield Heights or Krustyland rolled out (maybe a nighttime switch?). It is weird that there was no acknowledgement of St Patrick’s Day and it seems like an Easter event would’ve rolled out by now. Maybe there are some snags with new content that’s causing a delay? Downtime and mini-Events aside, the release of main Events has been rather consistently staggered about every two (2) months since the first such event (THOH 2012). The longest gap, by my reckoning, was the 74 days between last year’s Moe’s Ark and THOH. We are currently at 70. People have asked for more downtime. What better time than after releasing a mystery box that launches dozens of questlines? I’m still over 300 quests. I like to do them one at a time. Dozens makes complete sense then. I could be wrong, it I feel like they are either going to launch an overhaul to try and attract people back to the game, or they are winding it down as EA let’s people go for unprofitable games. I mean how many people actually spend a lot of money on the game? Over the years I spent a little, but early on I though the money to donuts ratio was to high to buy much, then once I discovered KEM farming I was able to get what I wanted each release with that, I never was able to get everything with that, but an item here or there I wanted. I full disclosure I spent almost $1k last month with the yearbook. There’s completionists out there with disposable income that keep these games around, hope they keep it going. I just started a few months ago and I’d be so sad if they stopped doing updates. So what you are saying is that TSTO is a cash cow for EA, a consistently profitable business, property, or product whose profits are used to finance a company’s investments in other areas. I would call TSTO a Coin Calf for EA. Personally I quite like these longer breaks, I think so many mobile game developers reacted too quickly to the player clamour for never ending new content and constant updates. This demand coupled with the developers desire to make a quick profit from said stream of content is what has led to a staleness in many games and the rise in glitches and issues. 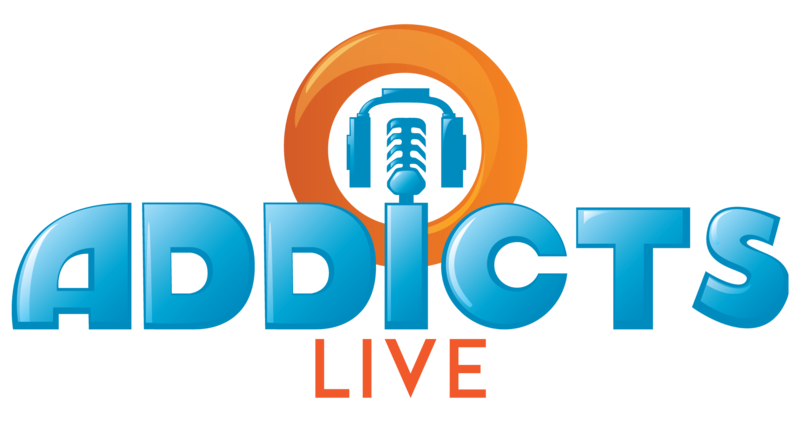 Longer breaks between content updates and events would have allowed new features to be developed for said events rather than just releasing rinse and repeats of previous events with different prizes. It would also have allowed for better server maintenance and support. A bit of breathing space in games is a good thing in my opinion and I’m enjoying the more relaxed regime in both this and FGQFS as this time. As long as new content releases don’t get as relaxed as FWOT, I’m good. Plus it’s maybe good for Alissa to be gradually released back into the real world during these breaks. After all spending 6 years in the manic TSTO bubble is longer than the combined ages of Riley & Sam.